Students are not layabouts who do nothing all day but play video games and drink beer and maybe attend a lecture a two. This image seems to persist despite all students knowing they work very hard to obtain their qualifications – attending classes, studying and working on assignments, maybe working a part-time job and balancing all this with trying to enjoy the social side of life at high school, college or university. It’s no wonder that stress is a common characteristic of a student. Even the best students find themselves up against it at times. Conflicting deadlines or assignments on difficult subjects you just can’t seem to get to grips with can keep you on a never-ending cycle of worry about how you can get everything done on time and also get the grades you want and deserve. 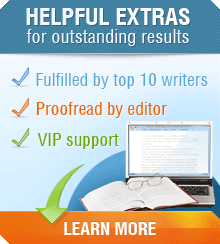 Other students may struggle with the essay writing demands of their courses. You might know your subject very well and have some interesting cases and arguments to present on related topics, but somehow, you find it difficult to express your ideas in words. For whatever reason you have come to essayfan.com, you are in the right place. We are a well-established and reputable custom essay writing service that delivers quality work at a price attractive to all students. It’s time to stop worrying about “who will write my essay” because we can easily answer that question for you. Simply – we can. Essayfan can. We consider ourselves among the very top providers in our field simply because we strive to be. We are in business to provide the students of today the help they need to achieve the results that will be the first step of being the leaders of tomorrow. Whether you go on to be a scientist who makes an amazing discovery or a corporate executive who inspires through outstanding leadership, or whether you head a charitable organisation, we are happy knowing we were a small step in your path to achievement. And because we care about your present and your future, we only employ writers who feel the same. We don’t just ask that they are skilled essay writers but that they are as passionate about helping students in need as they are for their subjects. Our writers are highly professional. They take pride in delivering high standards for every paper, whether it is a high school essay or a research paper. Every customer and every paper is of equal important. But can they help everybody? Can they help you? What if you are doing a specialized subject in a niche area? What if your assessor or professor has asked for something out of the box that just does not compute in your brain? What if there is an assignment the whole class is struggling with? Whether you need a standard narrative essay or an in-depth discussion paper supported by factual evidence, it’s not a problem. We’re here waiting to deliver what you need. Essayfan is a true custom essay service. Whatever the subject and topic, we have a writer who can craft an expert paper. All of our writers are educated to degree level – actually, they have a master’s degree or PhD – so you can be assured your paper is in good hands. And there is more criteria they have to fulfil other than just being qualified. We vet every writer carefully to ensure they have can prove their academic certification and to ensure they write as native English language speakers. We regularly vet them to ensure they meet our demanding standards and are meeting deadlines. And of course, we always make regular checks for plagiarism. We also like to talk to our writers to find out what they are doing to keep up with changes in academia: what trends are current; updates to requirements in terms of presentation or citations; and generally what is happening in their particular topics/areas of expertise. It is only by having this close relationship with our writers that we can guarantee that you will be 100% happy when you place an order with us. As we’re promising professional essay writing, you’re probably thinking that you can’t afford our services. You’ll be pleasantly surprised. There are thousands of online sites offering student and academic help but not every paper writing service is created equal. It is difficult deciding on which essay service to use. Many students will look toward price as a deciding factor but this isn’t enough and is not always the most relevant criteria on which to judge. This industry is not a case of “you get what you pay for”. There are sites that charge high prices but deliver mediocre quality. Then there are sites who charge lower prices but still deliver work that gets you good grades. Us? We believe in value for money. We will never claim to be the cheapest but we offer high standards for reasonable prices. We could never be cheap because as we’ve already said, our writers are skilled professionals and in order to secure their sought after services, we need to remunerate them appropriately. 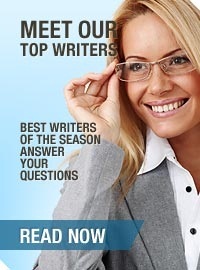 When you place your order with us you are immediately connected with an essay writer who will produce the paper you need. You can communicate directly with your writer to discuss all aspects of your paper. This is another way we know we offer value for money. This one-to-one writer/student communication helps us deliver exactly what we promise and consequently, you can feel satisfied your student money has been spent wisely. 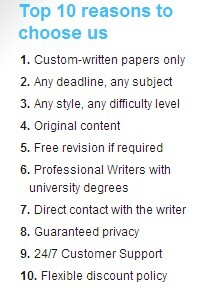 And because we are confident in our ability to deliver, you will think we are the best essay writing service around. As a reward, you will be able to take advantage of discounted price levels as a returning customer. 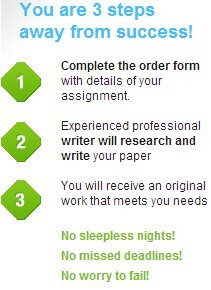 Are you persuaded we are the essay writing service you’ve been hoping to find? Good. Head on over to the order page. We’re waiting to deliver and make good on all our promises.